Mouse anti Human interleukin-6 antibody, clone MQ2-13A5 recognizes human interleukin 6, also known as B-cell stimulatory factor 2, CTL differentiation factor, Hybridoma growth factor or Interferon beta-2. Interleukin-6 is a 183 amino acid ~24 kDa cytokine with a wide range of biological activities. a potent inducer of the acute phase response, acts as a lymphoid cell growth factor acting on B cells, T cells and hybridoma cells. Variations in the interleukin-6 gene modulates susceptibility to onset of juvenile systemic rheumatoid arthritis (RASJ) an inflammatory disorder with early onset and featuring lymphadenopathy, hepatosplenomegaly, serositis, myalgia and arthritis (Fishman et al. 1998). 1Membrane permeabilization is required for this application. Bio-Rad recommends the use of Leucoperm™ (Product Code BUF09) for this purpose.  2This antibody detects Human IL-6 under reducing conditions. Where this product has not been tested for use in a particular technique this does not necessarily exclude its use in such procedures. Suggested working dilutions are given as a guide only. Clone MQ2-13A5 may be used in an indirect ELISA or as the capture reagent in a sandwich ELISA with biotinylated clone MQ2-39C3 as the detection antibody.